Sorry it’s a couple days late! 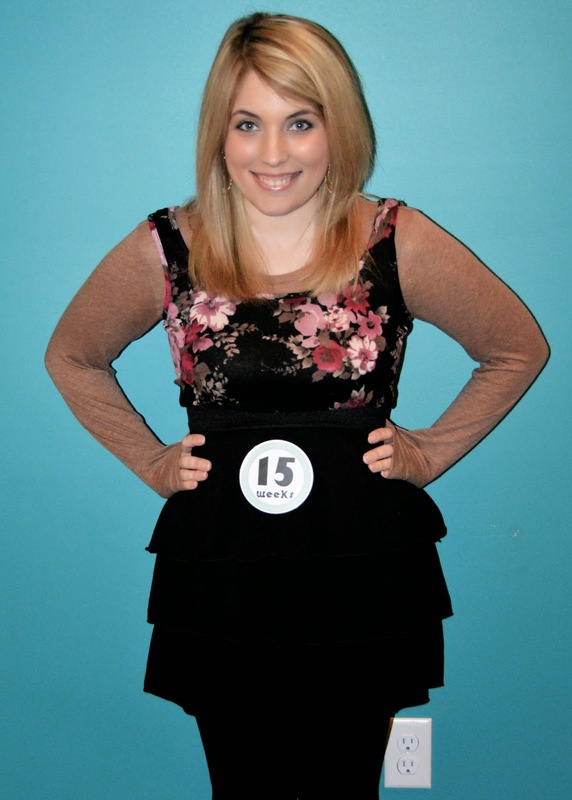 I turned 15 weeks pregnant on Friday Feb 7th! 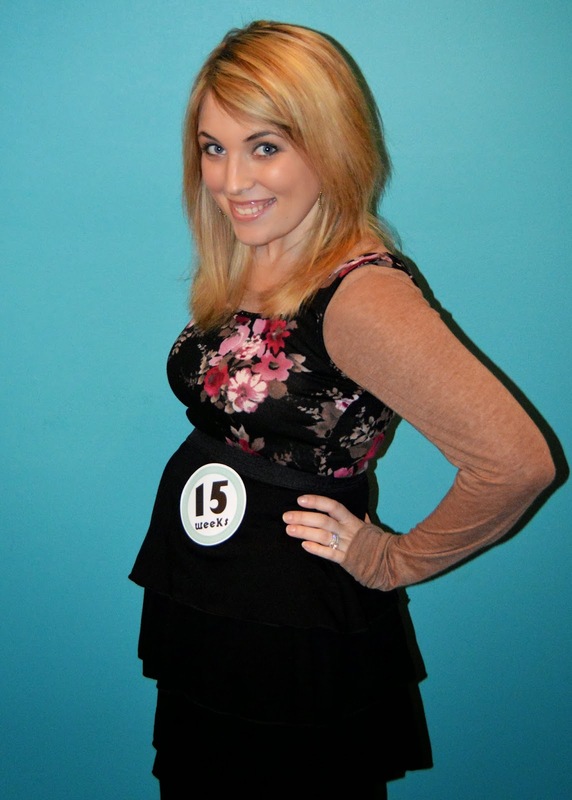 Baby Growth: Leo is measuring 5 inches long and is weighing 2 1/2 ounces…about the size of an apple! 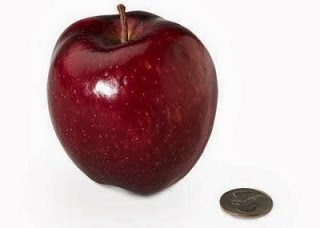 I know it’s still a rather small child, but an apple seems so much bigger to me than the other fruits!!! His or her eyelids are still fused shut but can now see light. If we were to shine a flashlight on my belly Leo would move away from the light. Kinda a mean trick, am I right? At this point in pregnancy we could find out the gender! My Symptoms: Overall, I’m feeling pretty great at this point!!! 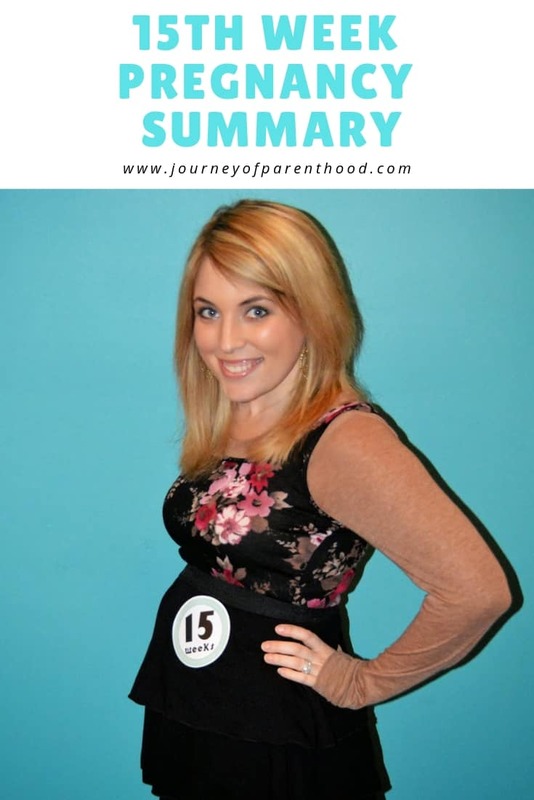 I have read in my past pregnancies about my bad skin and that has started this week. I have a few pimples around my chin area. I’ve always been rather blessed with a clear complexion so I’m not mega stressing about a few zits here and there but it does make me feel less attractive for sure! My stomach is looking more and more pregnant. My belly button is already almost a non-inny (I wouldn’t say an outie either but it’s almost an “evenie” if that makes sense haha). I still think my belly looks like it did with Kye. People can’t tell I’m pregnant b/c it’s just big all the way around and all over so it’s evenly distributed and I just look chunky. I do think I’m higher than I was with Kye though. With him I needed a bella band or something early on in pregnancy and with Britt I never really needed one. My baby belly starts close to my bra line and ends before my pants line. Def a combo of both pregnancies! I’m feeling less grumpy and crunk than I was last week. Casey said she got the same feeling (and even had to leave work early one day b/c she was getting too crunk with her students haha) and that it also didn’t last too long! I was around a few babies out in public this week and when they cried…I got that “let down” feeling in my chest! I have that “I want to nurse you” urge haha. No leaking or anything yet but my breasts are def fuller and still tender which is surprising to me! I know at this point I should feel more energized, but I don’t. I’m not sleeping well AT ALL and that carries over into my day. I also think having two kids wears me out more than life with one did. I have Britt non-stop whereas Kye was in preschool when I was pregnant with her. I also have to take Kye to school and pick him up etc. So it’s a lot more on me than when I’ve been pregnant in the past! Makes sense not to have as much energy!!! I wake up feeling fine and good to go. I get the most accomplished in the mornings…but once 1:00 hits I’m pretty much done for the day haha! I am also very congested. Which I read is actually a pregnancy symptom! However, Zach is also congested (he actually lost his voice) so we might have a cold??? Weight: No gaining this week! I’m at +2 at this point which isn’t bad considering from what I read most people by now have gained 5. I’m technically weighing the same as I did when I got pregnant! 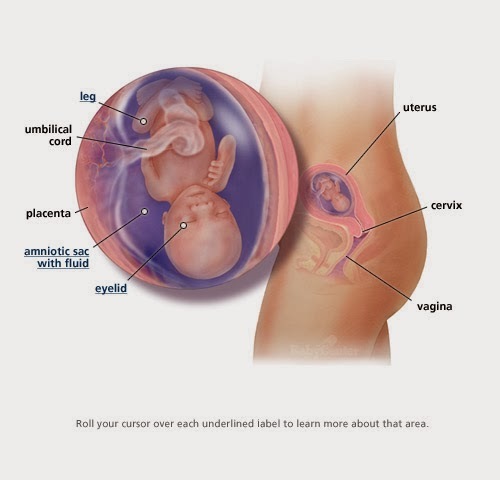 Gender: My stomach, like I said, looks like it did with Kye. BUT it sits higher like it did with Britt. So now I’m kinda back to being torn! I think being surprised this time is the MOST exciting time to be surprised. 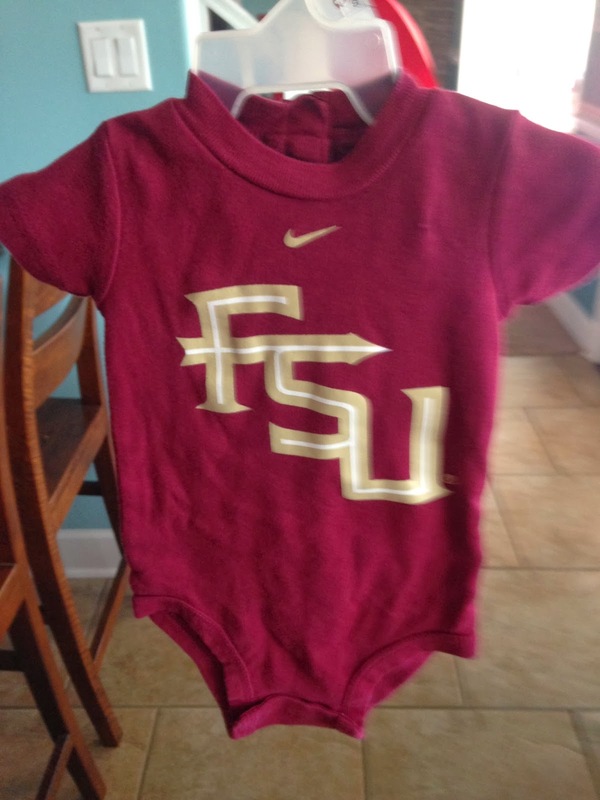 Already having a boy and a girl makes it really hard to know which one it will be! When I was pregnant with Britt my pregnancy was SO different from Kye’s that I really wasn’t all that surprised when the moment came and we heard “it’s a girl!” I believe my first words after hearing it were “I knew it!” But this time I have some things that are just like my pregnancy with Kye and some that are just like mine with Britt so I’m SO thrown off and confused 😉 and I love it! Maternity Clothes: This week is the first time that I’ve struggled getting dressed. The high belly makes it tough for some clothes to look okay on me. So I can see me needing my bigger sized stuff here not too long from now. I really do need to get down the bras. My daily bra is too tight at this point and the sports bras are a joke! Movement: THE TIME HAS ARRIVED!!!! Yay!!! Early in the week I felt a little bump here and there but by the end of the week I KNOW it is legit movement. I was laying in Kye’s bed and he was being silly and Leo was moving a lot which was so cute 🙂 I can’t wait for Kye to be able to feel it as I know he will understand it so much more and appreciate how awesome it is in a way he didn’t when I was pregnant with Britt. Feeling the movement is my FAVORITE thing and I am so, so thankful for this blessing! Sleep: It is horrible. When you’re pregnant you are supposed to sleep on your left side. Well when I’m on my left side I’m facing Zach. Who sometimes snores. Or breathes really loudly. Or makes these little clicking sounds. I do NOT like sleeping apart but we had to a couple nights. We remembered though that with past pregnancies I’d just go to bed first and once I fall asleep I’m okay with his noises 🙂 However, I can’t even get comfortable without Zach in the room. I am using my pregnancy pillow all the time now and it does help. I fall asleep fine on my left side. But then I keep waking up on my back which is the worse position for the baby!!! So then I get freaked out and have to pee and can’t fall back to sleep. I have a lot of restless nights with lots of tossing and turning. On my left side too I guess my hip bone sticks out kinda far? Bc seriously I have nights where I want to saw that junk off! It does not let me get comfortable!!! Cravings: I do NOT like chicken. Or beef. However, I am loving FRUIT which is a first time ever for me! Apples are soooo sweet and delicious. I also am obsessed with artichoke. YUM. Fulfills my salty fix! I think my tasting abilities are stronger this time around? I have never in my life thought that apples are as sweet as I can tell they are right now! I am also more wiling to try new things. At Publix the other night I ate sushi for the first time ever (California Rolls…fully cooked!) and LOVED it. It only added to my craving for Aligatu! Shrimp is def up there on my craving list. I am still not drinking any milk at night and am not feeling sick (I now down a couple glasses of water at night instead!). For something sweet I am OBSESSED with icees. I mean SO random. I actually got two Orange ones this past week alone. 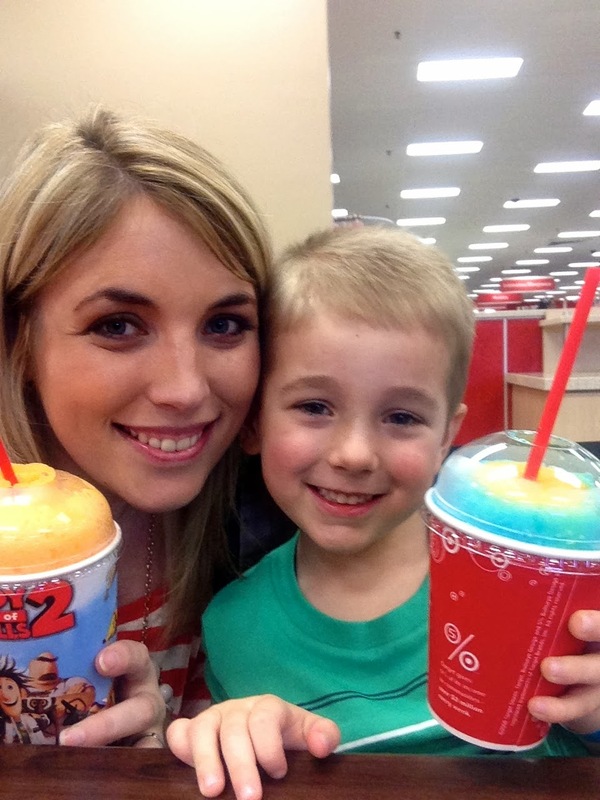 Britt and I went into Target and I got one and then Kye and I went back to Target after Lorelai’s birthday party Saturday and I got another 😉 I have NEVER been a big icee person so it’s a strange craving for me! I did my monthly grocery shopping this week and it was TOUGH not to buy everything in site. The two things I ended up caving in and buying were pudding (so random!) 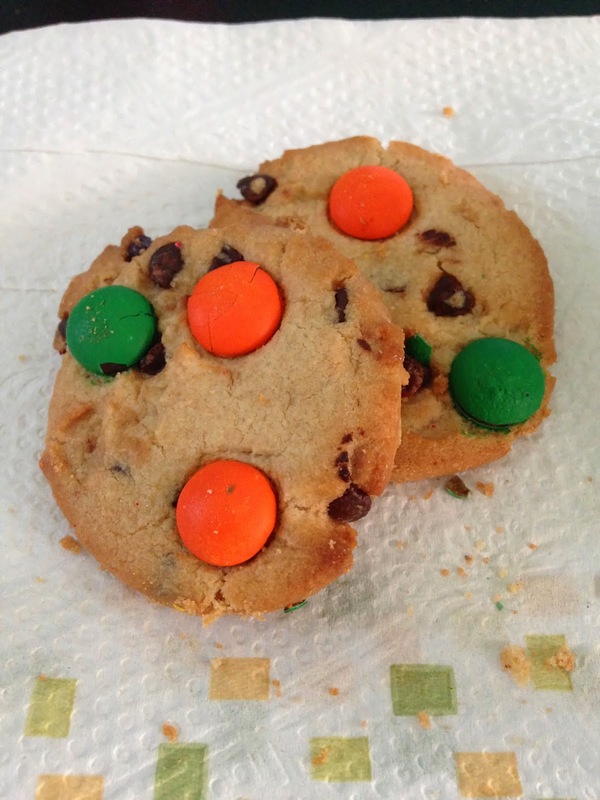 and these old school m&m cookies. I haven’t had them in ages but I couldn’t resist the temptation! What I Miss: Nothing related to pregnancy! I mean I preferred my belly with Britt but I don’t really miss it or anything! Best Moments of the Week: It was a good, busy week! The BIG thing is that I have for sure decided on a nursery theme/color scheme. I feel SO excited now about it and truly LOVE it. Zach is much more excited about it too and I think this idea is VERY us 🙂 This picture is my inspiration…I want to paint the room a SUPER dark gray color. And really have dark gray be the main color of everything. The nursery chair and have it be the main color of all the fabrics and such. Our furniture is white so it won’t be too dark anyways! Then I want to have a POP of NEON colors! We are still keeping with the travel theme and will have a map decal in the bright neons and other travel type pieces that bring in those pops of color. I LOVE IT 🙂 I also even found the store we will use to make all the bedding pieces. She is going to work with me in planning a boy version and girl version! We also went to an awesome shop downtown and bought a cool locker for Kye’s new room and I found several cool things for the nursery too! I’ve started pinning like crazy now that I know exactly what I want to do! 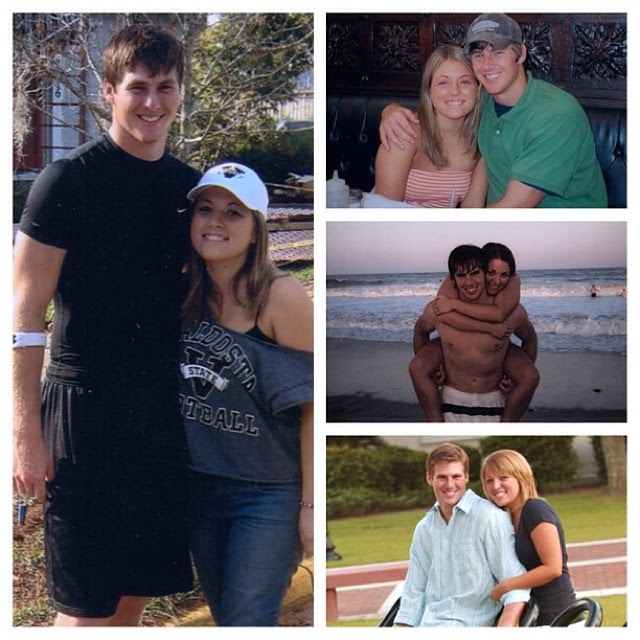 Zach and I celebrated our 10th year as a couple on Wednesday! It is SO HARD to believe that we have been together this long. I truly love him more now than I ever thought possible. He made such a big deal about it and was so sweet to plan a date night for us! I really appreciate everyone praying about my foot. I did get the shot on Wednesday. He injected the medicine into three different places in my foot and said I’d be in a good bit of pain for roughly four days and then it’ll take TWO WEEKS to know if it worked or not. So please continue to lift me up when you think of it 🙂 So far it’s still pretty painful…hoping the pain will wear off soon! Being that it’s my left foot and I have to sleep on my left side, it’s def made the past few days extra difficult in the sleep department! Mamas who swaddle: do you prefer the WOOMBIE or the MIRACLE BLANKET? And WHY? I want to ask how bad it really is to sleep on my back b/c it freaks me out that I keep waking up in that position! I have also seen a lot of these type things on Pinterest…did any of yall use them? This one seems to be the one with the best overall reviews? 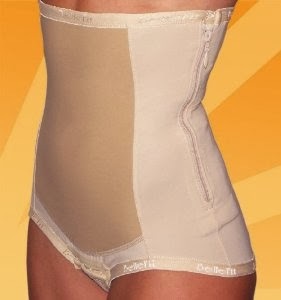 I’ve never had one but am def thinking of getting it for the postpartum days and would love to hear your experiences! Goals for the Week: Get everything ready for Disney! Rest my foot as much as possible and take good care of it to help it heal properly. Get back to doing Bradley Method stuff. Belly Pictures: I had Z take these before our date Thursday night 🙂 I’m wearing a dress that was actually Casey’s and I legit look SO pregnant in it huh? It’s all the tiers and ruffles probably! You can order my belly stickers here! 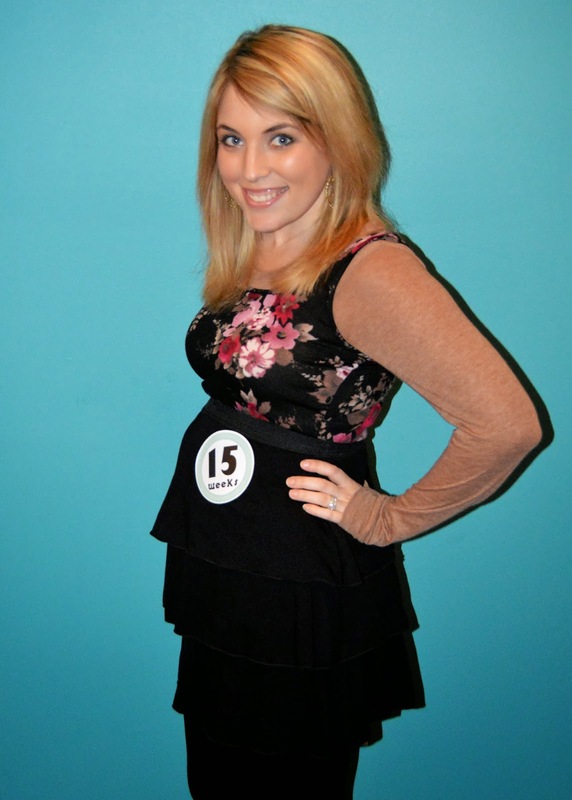 Past Pregnancies: You can see my post from 15 weeks pregnant with Britt here! Pretty hilarious to see that massive post pregnancy pad…you first timers be sure to check it out to know what you are in for. Isn’t it neat though how quickly we forget those things? I LOVE that I started feeling Britt move this same week! It makes me hopeful that Leo will be as active in the womb as Big Sister was (let’s cross fingers that he or she is not as active outside the womb though okay? haha). I am envious of the energy I had at this point in pregnancy with Britt but thankful my headaches are nearly as bad or often!!! With Kye at this point I was tired and had headaches. Kinda sad reading back to this week with Kye in my journal. My mom and brother and his wife all came to visit us for the weekend. Appreciate the moments you have because you really never know what the future might hold. My dad also called just to check in which made me happy! Back then I was in counseling and had a rather tough session but left feeling very strong and capable in myself. I learn so much about myself at that point in my life and I’m thankful for that! I’m also thankful for the friendship Ashley and I shared, it is so fun reading my pregnancy journal each week from my first pregnancy and remembering all of our good times together! Love your blog and congrats on baby #3! I am actually 13 weeks along with my baby #2 🙂 As far as sleeping on your back I have the same problem/concerns and I haven't pulled out my pregnancy pillow yet but I do remember last time around my dr said if I just put a pillow under half of my back (right side preferred) that even if its a flatter pillow that little adjustment can really help and it still made me feel comfortable to sleep because being all the way on my left was not enjoyable for me and I would never wake up in that position either. Question about advocare: what is and is not safe to take during pregnancy? Thanks! We weren't going to find out if B3 was a boy or girl before delivery, and I found myself constantly saying "this is like my pregnancy with Brianna . . . must be a girl!" and "that was like my pregnancy with Brenson . . . must be a boy!" I think it's super fun to have one of each (and two very different pregnancies) and not find out gender before delivery!You look great in the photos . . . definitely starting to show a bit! My baby girl is now 5 months old. I used the BFF belly bandit after she was born. I was back to my normal size in just over 2 weeks. Definitely would recommend it! My OB said that sleeping on your back was fine up until week 20. And I found out why it is unsafe to sleep on your back during my 20 week ultrasound. I got close to passing out since baby girl was sitting right on my nerve – not fun! I was a total back sleeper until I was pregnant and really struggled with getting comfortable with sleeping on my side. I used a body pillow and that helped. As far as swaddles, we used to woombie and the swaddleme. My daughter seems to prefer the swaddle me as her arms can't get up under her chin, whereas with the woombie, they can. I really think with swaddles, it is based on what your baby likes. My niece loved the woombie and used it for 7-8 months, so yeah, just try one and see how it goes.